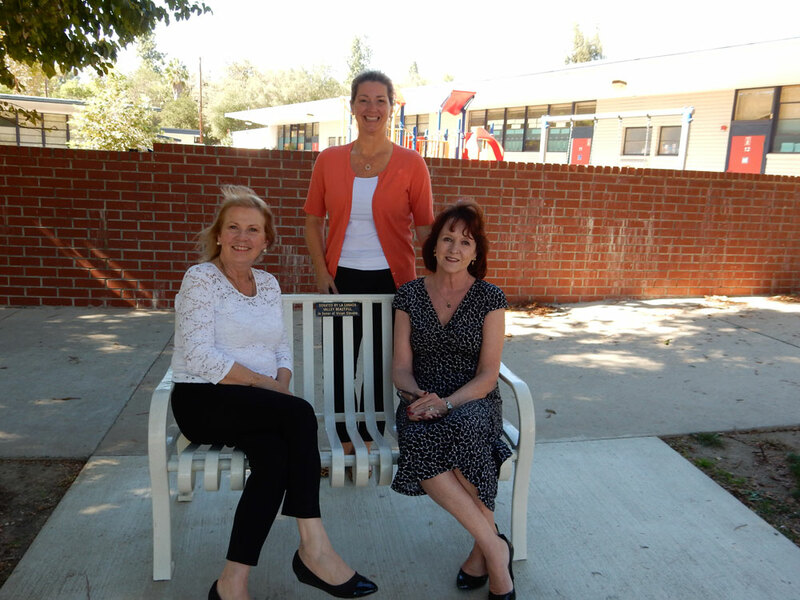 A lovely white bench now graces the front of the kindergarten yard at Paradise Canyon Elementary School in memory of the late Vivian Stevens, a longtime La Canada Flintridge resident and active community member for decades before her death last year. 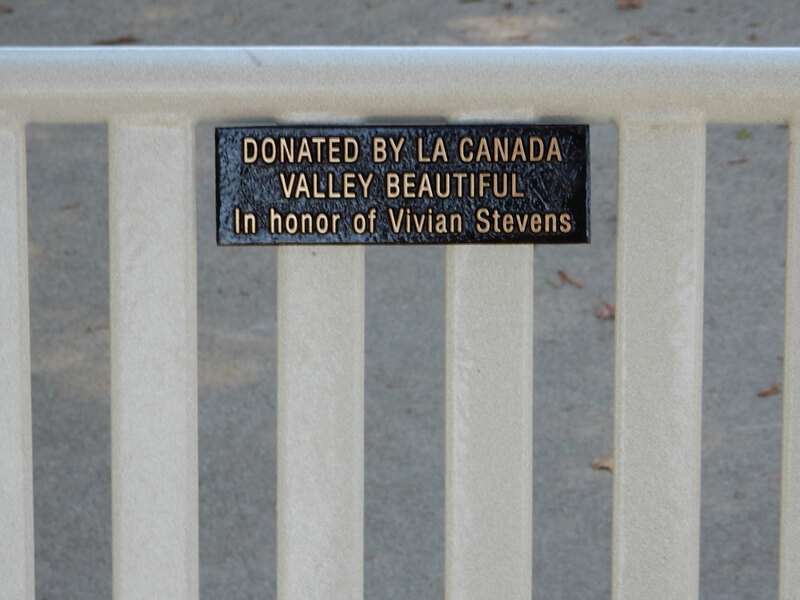 Vivian served on the Board of La Canada Valley Beautiful and was also PTA president at Paradise Canyon where her three daughters attended school. She was president of the LCF chamber of Commerce and was a local realtor.